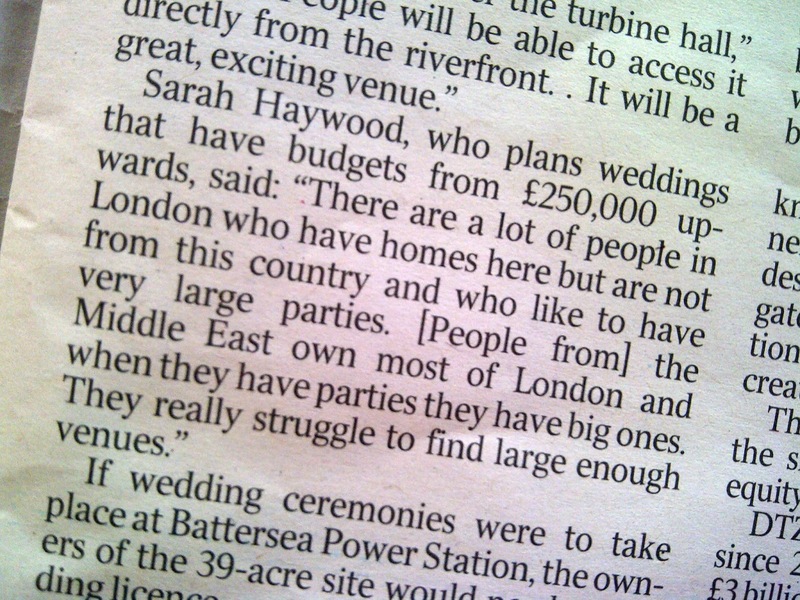 I read in The Times that work had started on the "regeneration" of Battersea Power Station and the land that surrounds it. 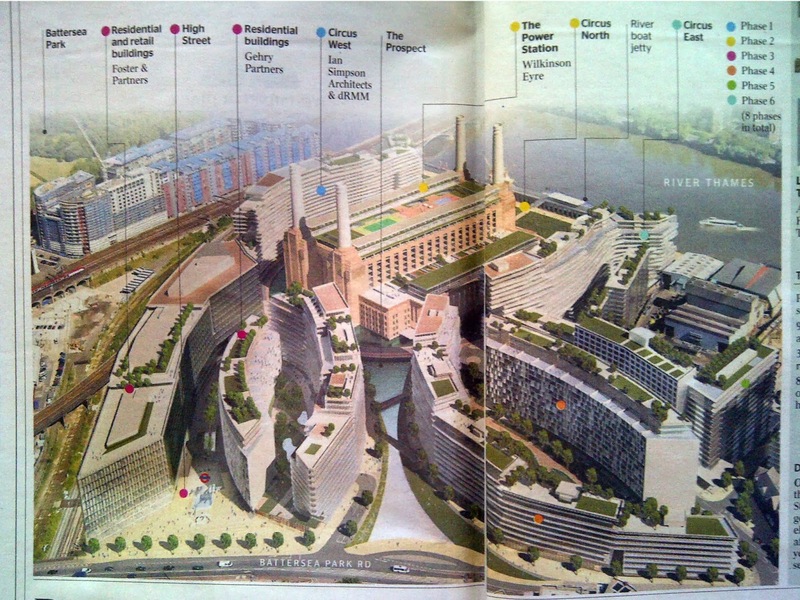 The phone snapshot above is from that article (dated 27th October 2013) and illustrates that, with the help of some well-respected UK architects, the Malaysian owners are spending billions to turn the area into yet another sea of boxy apartments and shopping malls full of [I suspect] designer brands for rich people. 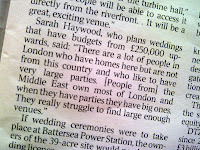 Oh and they need spaces to put on lavish events – see the clipping, right, also from the same article. Need I say more? 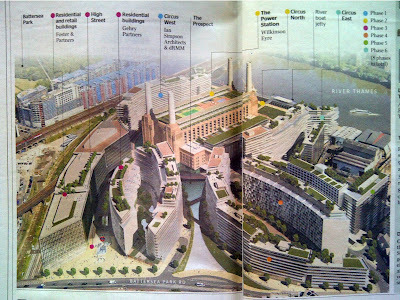 As you can see the old Art Deco building is going to be swamped by the modern buildings. The four reconstructed chimneys, one of which I hear will have a viewing platform or something on the top (how much will that view cost?!) will probably be the only part of the building visible from the South. Here's a link to a post I wrote almost 3 years ago to the day about on here about my concerns for this site (and my suggested solution!). I just recalled the film Sympathy For The Devil where in some scenes the old derelict site can be seen full of scrap car merchants etc. And, I may be going mad but I pretty sure the site was also used as a location in a Bob Hoskins film; either Mona Lisa or Long Good Friday, both excellent films, and worth revisiting for a bit of late-70s/early-80s old London-spotting.